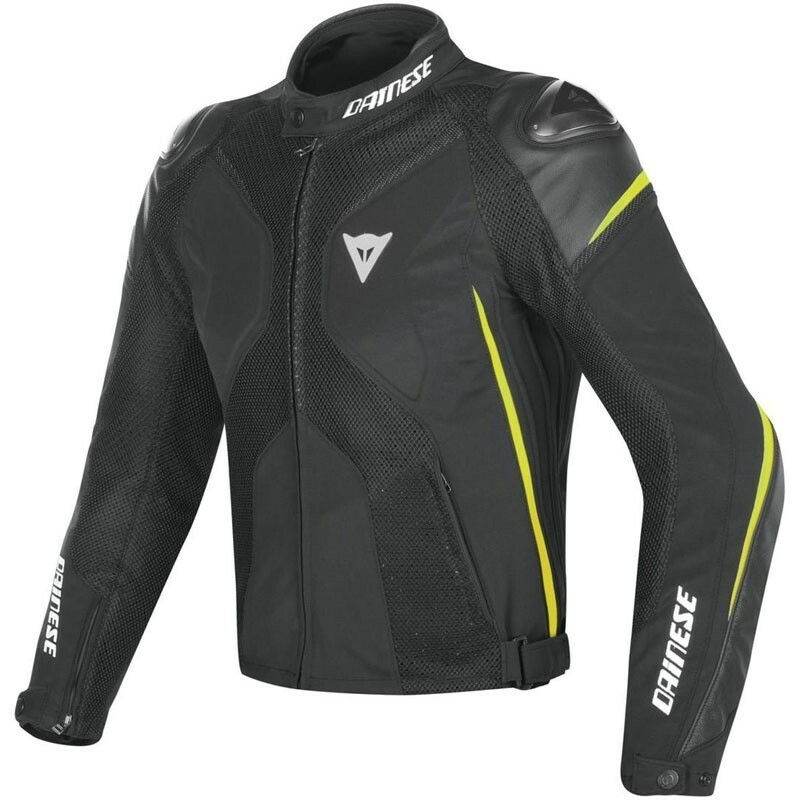 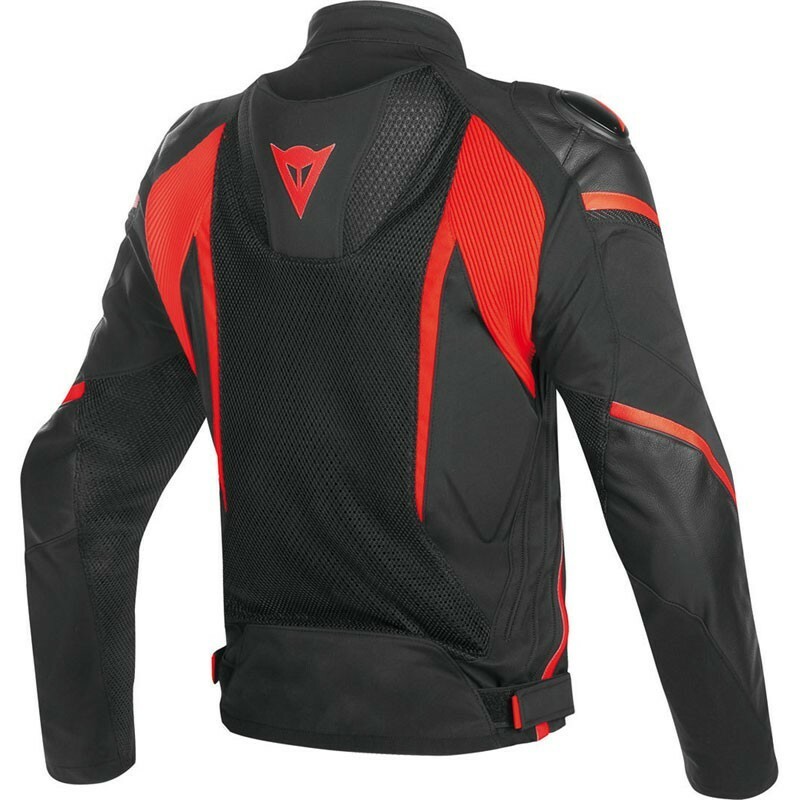 The Italian motorcycle clothes manufacturer Dainese presents you his summer vented and waterproof moto textil jacket for man the Super Rider D-Dry. 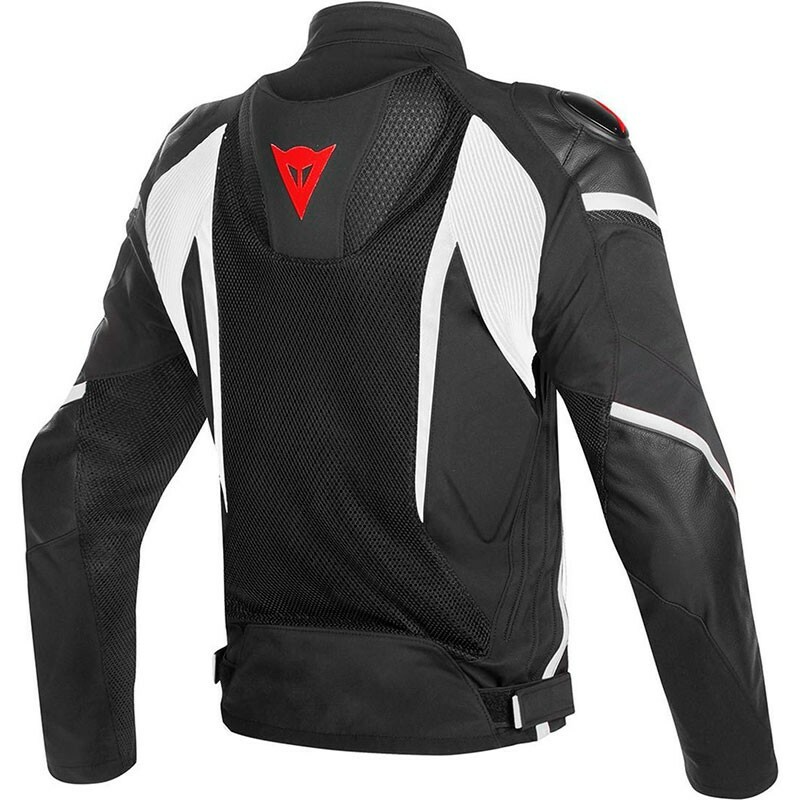 The lightweight Super Rider D-Dry® has an aggressive design inspired by premium leather sport-bike jackets. Features include cowhide inserts, aluminum plates on the shoulders, Mugello bi-elastic fabric and huge mesh panels. Completing the technical aspects are an aerodynamic hump and a removable D-Dry® waterproof liner for maximum versatility.